The story behind the Homemade Lego Advent Calendar: We opted not to buy the Dude a Lego Advent Calendar for the past couple of years. The Dude was quite amenable, countering with: "Ok, then you have to build me something every day until Christmas." Challenge accepted! This is the series of daily posts, cataloguing my builds. 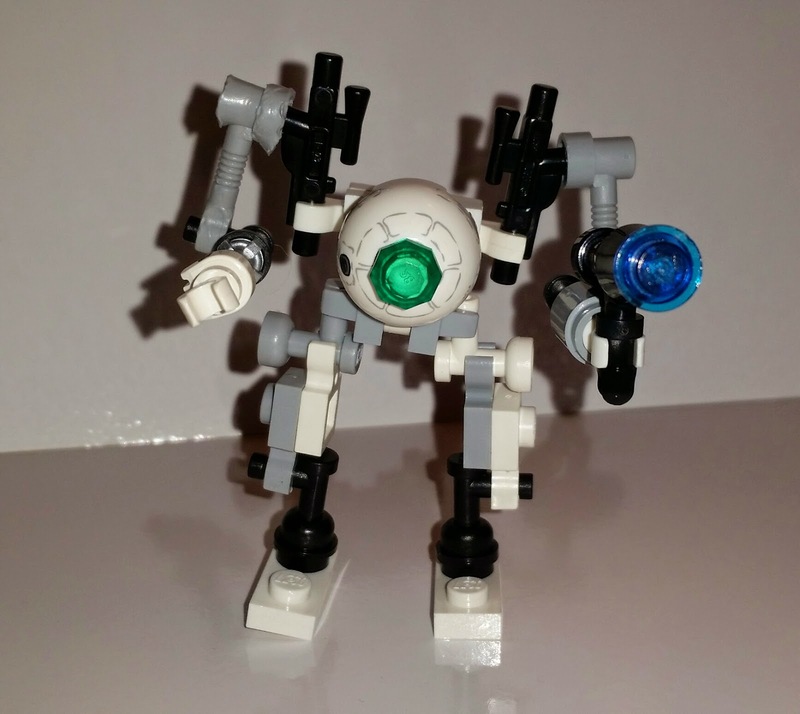 Today's build is based around one of my favourite video games: Portal 2. This is Atlas, or as hubby referred to him: "No way! The best one yet."